Built in 1913 for Dr. and Mrs. R.W. Baird, Highland Park Methodist Church was founded here as it received a Park Cities historical marker in 1990. This Dutch Colonial home with a gambrel roof and an eclectic mix of styles work well together. They have been preserved to provide a glimpse of early Dallas. 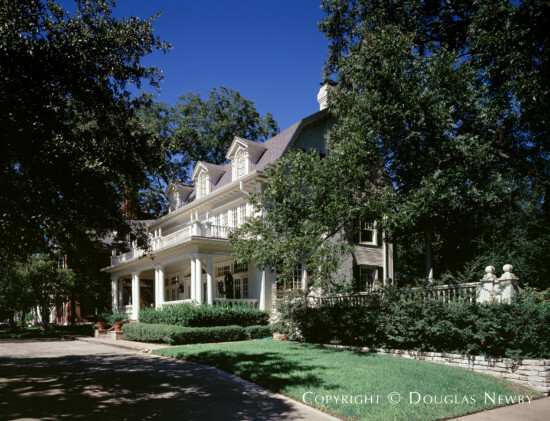 At one time Dallas mayor Wallace Savage lived here, although Savage is more closely associated with his residence on historic Swiss Avenue and his work to revitalize that area.